Do a quick glance through the world map and one can easily miss the tiny dot right at the tip of the southern Malay Peninsula that is the tropical island of Singapore. It almost appears as if the country is being swallowed whole by the other surrounding nations a few times its size. But what this sunny lion city lacks in size, it makes up for in its combination of mouthwatering local cuisine, an education system the envy of other countries, and a vibrant multiracial and multireligious culture. Despite its size, Singapore still has a lot to offer its tourists, from its variety of local attractions to tantalisingly good food. However, as it is when you travel to any country in the world, there are things specific to the Singaporean culture that you should learn about before your trip. These local cultural specialities, although quirky at times, will let you prepare yourself before your trip and allow you to blend in with the locals easily. Who knows, you might just blend in so well that you end up living in our Lion City. Unless they know of someone who has travelled to Singapore, some foreigners have the assumption that Singaporeans do not speak English. On the contrary, the majority of Singaporeans speak perfectly good English as it is taught to us in schools as a first language. This is followed by our mother tongue — Malay, Mandarin, Tamil — as the second language (this means most Singaporeans are bilingual too). English is spoken practically everywhere in Singapore, be it in schools, workplaces or general spaces. Therefore, if you are an English speaker, there is no need to worry about communication difficulties when you are in Singapore. That is, unless you are being spoken to in Singlish, which brings us to our next point you definitely need to know about Singapore and its people. Speaking of “chope-ing” spaces, a packet of tissues in Singapore do more than just allowing us to wipe the perpetual sweat of our faces (the downside of living in an ever-sunny country). It is a common practice here to use tissue packets to reserve seats in a crowded casual eatery such as coffee shops and hawker centres. Just visit one nearby during your time here at lunchtime or dinnertime and you will witness a sea of tables being accessorised with tissue packets. Some locals have even graduated from using tissue packets to using umbrellas and even their name cards. Basically, any relatively small item that is handy can be used as reserving tools. So, if you go to a coffee shop one day and see a table with a pack of tissues on it, that means the table is off-limits. Do not be alarmed when you see Singaporeans automatically sticking to the left side of escalators. 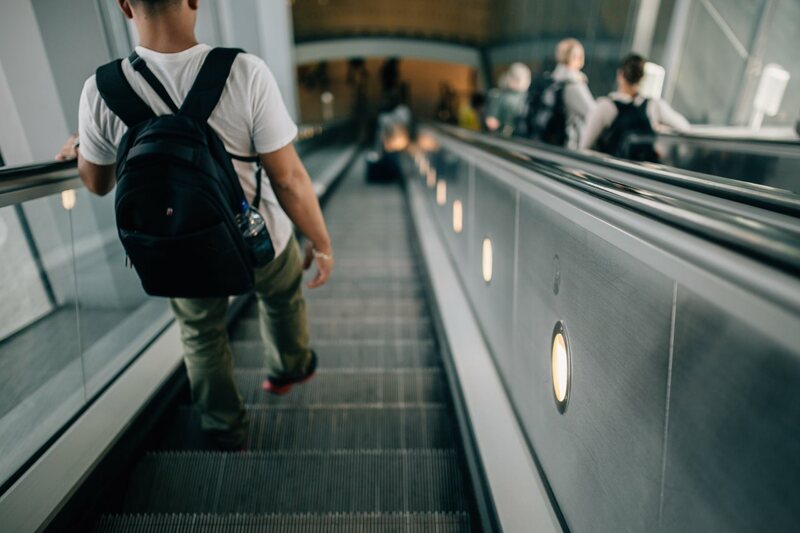 This practice was put in place years back to prevent congestion on escalators as well as to allow commuters who are in a rush to go up or down the escalators without getting stuck behind a long line of people. This behaviour might seem odd, but it is particularly useful during the peak morning and evening periods. Taxi drivers in several Asian countries are notorious for their tricks of inflating fares on unsuspecting tourists. However, you can throw all that worry aside when you are in Singapore. The taxi fares here are always calculated according to the metre, which means the drivers will not surprise you with an exorbitant amount of taxi fare when you have reached your destination. Besides taxis, there are ride-hailing services available in Singapore, namely, Grab and the recently-introduced Go-Jek. These services are good alternatives to taxis since they sometimes offer cheaper fares, although price surges are not uncommon during peak periods. Plus, you can get your ride through mobile applications, how convenient!